The jewellery worn for a special occasion plays a very important role in the making of the event and in the memories that follow. Nowhere is this more significant than at a wedding – and most especially if you are one of the VIP’s ! You will be endlessly photographed, and these photographs will be looked at frequently and fondly long into the future! The perfect choice for the Mother of the Bride or Groom is a pair of Pearl Earrings – chosen to flatter you and to complement your ensemble. Pearls are the best secret weapon a girl can have! We are passionate about pearls – and carry a wide range of earrings in one-off designs that do the job that jewellery should do - enhance your natural beauty!! These are some of our current favourites – we would love to design something just for you. The perfect choice for the Mother of the Bride or Groom is a pair of Pearl Earrings – chosen to flatter you and to complement your ensemble. A Pair of Handmade Sterling Silver DROP EARRINGS with Baroque Black ad White pearls. A Pair of Handmade Sterling Silver, 18ct Rose Gold and Freshwater Pearl DROP EARRINGS. Gold mass 3.9gms. 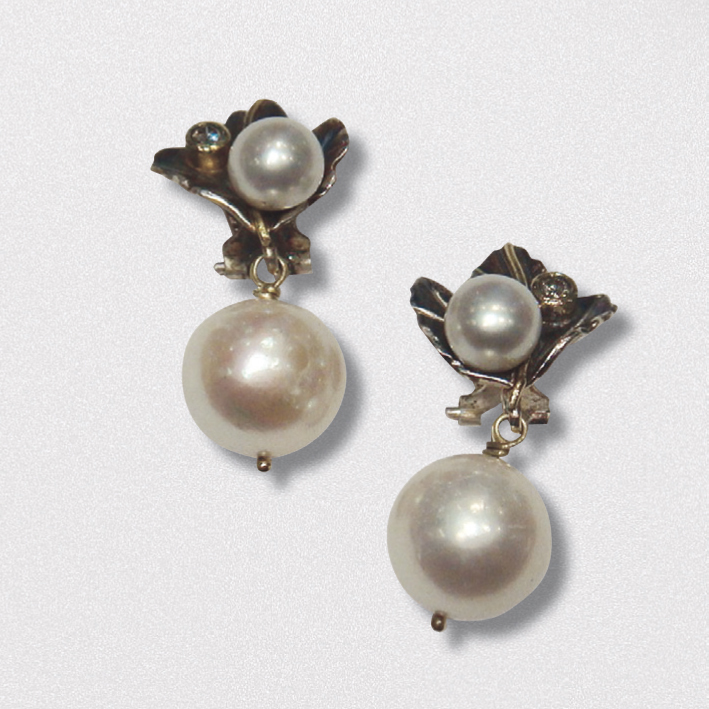 A Pair of Handmade Sterling Silver, 18ct Yellow Gold and Freshwater Pearl ‘Flower’ DROP EARRINGS. A Pair of Handmade Sterling Silver and Enamel STUD EARRINGS with Freshwater Pearl at centre. A Pair of 18ct Yellow Gold, Oxidised Sterling Silver, Diamond and Freshwater Pearl EARRINGS. Gold mass 2.2 grams. Diamonds 0.20 cts. 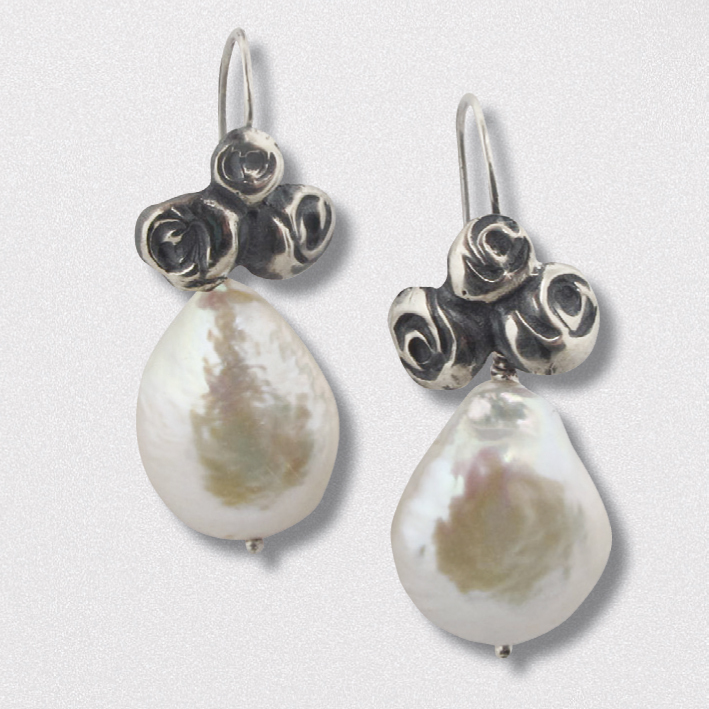 A Pair of Handmade Sterling Silver, German Silver and Freshwater Pearl DROP EARRINGS.